Superdry women's Burnout Vee t-shirt. A loose fitting vee neck top made from soft burnout fabric, this is the perfect lightweight t-shirt for layering. 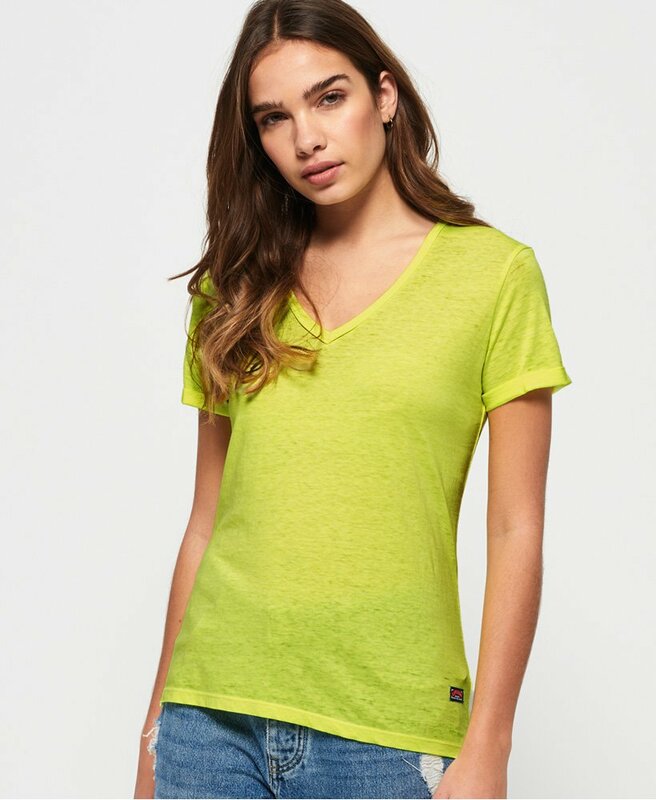 It features rolled short sleeves, a flattering vee neckline and a Superdry patch above the hem.This would pair nicely tucked into your favourite jeans, shorts or skirt.